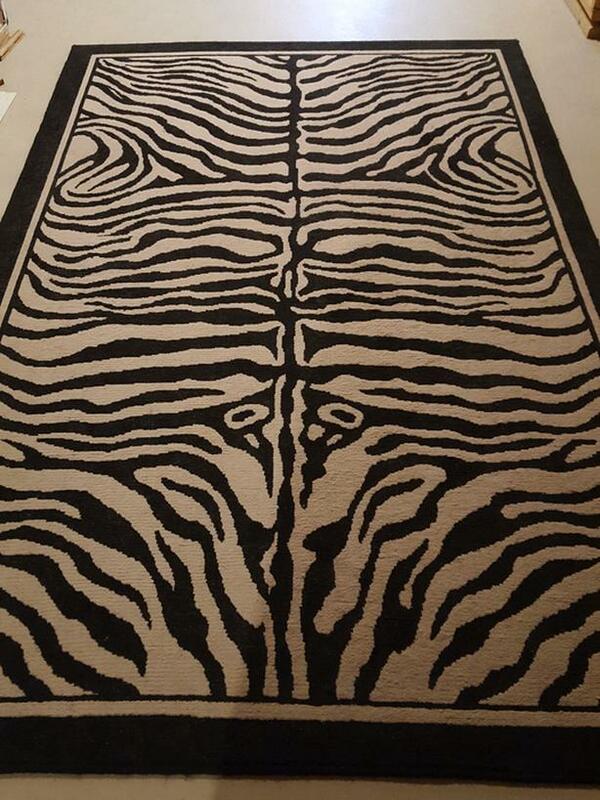 Lovely zebra pattern area rug made by American Rug Craftsmen, Inc. of washable 100% olefin fibre. I bought this new at Sears many years ago to decorate my living area. I no longer need it. Measures approx. 5'3" x 8'3" (63" x 99"). I have vacuumed this rug thoroughly but there are still some cat hairs on it. A lint roller would likely take them off, but as I am not keeping the rug, I have not used one. This rug would be great for a basement (where I have had it for the past little while).